A group of some 20 African migrants blocked a local highway in southern Italy with heavy appliances to protest the quality of food and living conditions in their migrant welcome center. 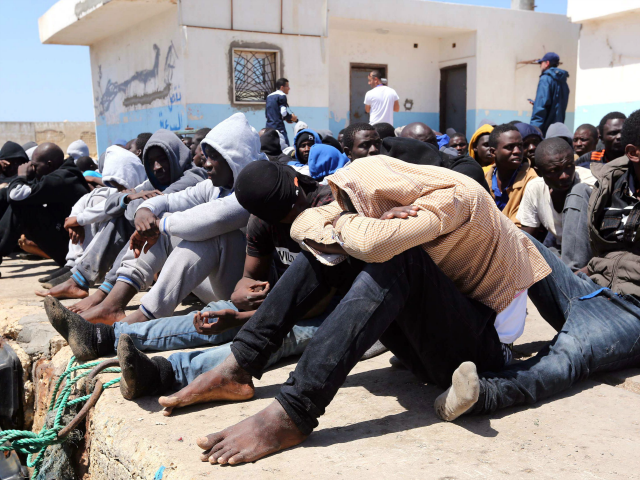 According to Italian media, the young, male asylum seekers staged their roadblock Tuesday morning on the provincial highway running from Sessa to Mignano in the province of Caserta, between Rome and Naples. Protest laid heavy appliances such as stoves and refrigerators as well as large black garbage bags laid across the road to keep traffic from passing. The motives behind the protest have to do with living conditions in the welcome center of Galluccio, which migrants claim is too isolated and far from major cities. The asylum seekers have also complained of the quality of their meals and services. The directors of the welcome center, which is run by a cooperative from Naples, claim that the complaints are without basis and that problems could have been resolved by talking, without resorting to disruptions of the area residents. To resolve the protest peacefully, local mayor Giuseppe Galluccio promised to review the migrants’ complaints and “carry out an investigation into the conditions and treatment of the persons living in the center.” After some two hours, the protesters dispersed quietly.